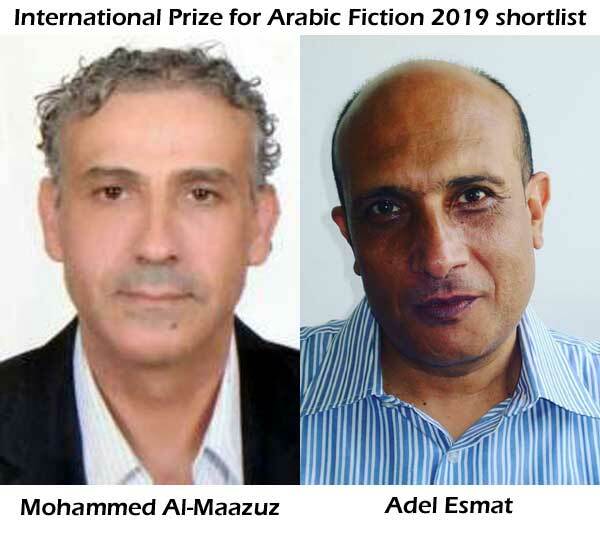 Adel Esmat, Mohammed Al-Maazuz are the two Africans on the International Prize for Arabic Fiction 2019 shortlist announced today February 5, 2019. The International Prize for Arabic Fiction, launched in 2007, is considered to be the most prestigious and important literary prize in the Arab world today. Given to a novel considered to be the best of that year in Arabic, the prize is run with the support of the Booker Prize Foundation in London is sponsored by the Abu Dhabi Department of Culture and Tourism. Previous winners of the prize include Bahaa Taher (2008), Yusuf Zeydan (2009), Abdo Khal (2010), Mohammed Achaari (2011), Rabee Jaber (2012), Saud Alsanousi (2013), Ahmed Saadawi (2014), Shukri Mabkhout (2015), Rabai al-Madhoun (2016), Mohammed Hasan Alwan (2017), and Ibrahim Nasrallah (2018). The Commandments by Adel Esmat (Egypt) published by Kotob Khan. “The Commandments” follows the Dar Selim family in Upper Egypt through several generations, beginning in 1920s Egypt, from the time of the monarchy, the 1952 July revolution and Abdel Nasser, through to Sadat, the Naksa and the 1973 October War. The grandfather Abdel Rahman gives his grandson 10 commandments to help him endure life, enjoy its pleasures and stay away from temptations. Although he may not keep them, these commandments remain an important influence throughout his life. In each chapter the grandfather presents one of them, and part of the family story is told. They represent the grandfather’s wisdom, acquired through his life, which he wishes to pass on to future generations. What Sin Caused her to Die? By Mohammed Al-Maazuz (Morocco) published by Cultural Book Centre. “What Sin Caused her to Die?” is a call to return to philosophy, goodness and beauty in the fight against ugly distortions of human nature. Despite her divorce, Raheel is determined to remain hopeful. Having always found refuge in reading Sartre and Le Beauvoir, and contemplating the worlds of music, philosophy and human freedom, she determines to reengage with the world and resist depression through music. Her mother had tried to do the same through drawing and painting, although she committed suicide, leaving her young daughter behind. Raheel chooses to use her freedom to play and sing, sowing a last seed of hope. The shortlist of six will each go home with a cash prize of $10,000 and the winner will be announced in Abu Dhabi on April 23. That winner will pocket a further $50,000 making the prize win $60,000 in total. Novels of ‘Family, Memory, Disappointment’ Make 2019 IPAF Shortlist. Previous Previous post: Bensalem Himmich on Sheikh Zayed Book Award 2019 shortlist. Next Next post: Ladan Osman poetry collection “Exiles of Eden” out on May 7.